Jesus left Heaven to be one of us and God allowed his only son to go. Jesus died so that people will not be sent to the Lake of Fire below. 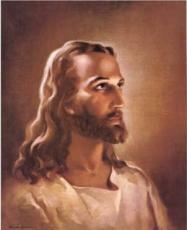 When Jesus was on Earth, I know that God missed him. Jesus was tempted by Satan but he was able to resist him. When people steal, kill, do drugs and other bad things, they will pay. They will try but fail to hide on Judgement Day. Thanks for sharing your thoughts- lots of truth there. You know got me thinking- lots of people just see the lake of fire as...fire. It's so much more then that-it's evil. They forget how painful it will be, how depressing. And to spend an eternity there...oh my. People take Hell lightly. It will not be fun. So true. The Bible says that people are going to cry for the rocks and mountains to fall upon them. But as you shared, they will not escape the great and terrible day of the Lord. Keep writing what God gives you. I liked. Hopefulpengram.